topic: will informal learning erase itself by establishing a global head master? A couple of blogposts ago I mentioned the hypothesis that informal learning is a passing educational phase. I posted this hypothesis on the internettime community and Jay Cross suggested to have a first online discussion on this topic through an online meeting tool (in this case it would be skype, but more tools to come). Hypothesis: Informal learning adds to the rise of digital knowledge, the increase of knowledge will stimulate the demand/need for a global brain, the global brain will become the global head master, the global head master is a global gatekeeper of knowledge (due to the algorithms on which it is based) and hence the installment of a global brain will reduce worldwide learning to 19th century old school learning (again). So informal learning will give rise to that what it aimed to overturn: old school classroom methods. => the combination of informal learning and digitalization has given rise to ... 19th century old school learning wherein the global brain knows practically all. Upside: we are living in the (only) Informal Learning Era of human kind. Possible downside: algorithms can be maliciously constructed to censor knowledge or erase it. For a lengthier set of ideas look here. Hope you can join the discussion. If you know of anyone who could be interested in this topic, ask them to join as well. In my last QRcode blogpost I mentioned how and where you could get a QRcode for your mobile or website (or business card). But what if you do have a cell phone with a camera, but you did not get QR-code software to read these codes? No problem, it is really easy to find software to read these codes if you follow the steps below. I have been looking around for software that is customized for as many cell phones as possible. During this quest I found QuickMark a software company based in Taiwan. They deliver QRcode readers for a broad range of cell phones. They have installation guides for windows based or symbian mobiles. In order to be able to download the software you need to register, but registration is free. The installation guides (I used the windows mobile one) are well written and easy to follow. … the installation process will start. Click on the enter button of your mobile device and you get the information visualized in the QRcode. This is a plea to act for freedom (of speech). By now the French-Colombian (political and peace) activist Ingrid Betancourt is one of the best known hostages of the Columbian FARC. This however enhances her importance as a hostage to that same FARC who knows that holding her hostage, enhances their bargaining position. Ingrid has been held captive for 6 years now and apparently she has Hepatitis B and is in danger of dying while in captivity. Word of mouth might enhance the pressure to free her, so if you feel like it support actions to free her. Sign the petition or circulate the latest youtube video to help hear the plea of her family and friends to free all hostages. Four years ago I worked in a political organisation. I remember that a family member of Ingrid Betancourt entered the building where I was working and started asking all the organisations in that building to help to get Ingrid Betancourt freed. My interest was limited although one of my professional aims was in fact equal opportunities and equal rights. So I wondered why this cause did not immediately grasp my interest. It’s simple we are overloaded with media that covers news that is mind numbing. Sometimes it seems that justice is no longer part of the global civilization. Today Steven Verjans twittered Ingrid Betancourt and again I doubted whether my single voice would have any impact at all. But the world and I have changed. social media have made it very clear that one single voice can make a difference if it is channeled throught the Net and mingles with other voices. I know there are a lot of causes out there, but it is our world so let’s join forces. Today I would like to share a paper with you that was elected as the best within the session of "Comunicación del Conocimiento y Conferencias III" at CISCI 2007 (6ta Conferencia Iberoamericana en Sistemas, Cibernética e Informática). The paper is written in Spanish and it reviews research on digital alphabetization in (rural) areas (Peru and Columbia in this case). I just put the recommendations here for your interest. This project was very interesting because all the participants (civilians) were empowered by a process that was built on dialogue. The projects surplus was that everyone got involved in the learning process. This of course delivered the best learning results. The brain behind this approach is my colleague Carlos Kiyan, who is a true believer in empowering the world to obtain a more humane future. Programs of certification in digital alphabetization must integrate the verification of analysis of all the processes (methodology of the logical order of the processes). Along that same line, when a license is given, the aptitude of the citizen will have to be considered in the examinations for this license. The proposal of the European Union (Computer Driving License) is interesting because it includes general concepts and does not relate them to products (Word, OpenOffice, Apple…). The essence of the certification must integrate the basis of all learning in regard to the technology, the analysis of processes, the attitude in front of the new technology, decreasing related fears. This will allow the citizen to surpass the challenge that she or he faces in future continuous technological changes. It is also important to identify local leaders in the centers where the qualifications are organized. They can give feedback on and also talk through the qualifications that are proposed to them. This way we will be able to rely on citizens with an extra aptitude for continuous learning in/with new technologies. This in its turn will allow them to reinforce the knowledge of their companions. Curiosity will stimulate learning; this will also reduce the fear of technology and hence create a society of citizens with more initiative in their search for learning. These citizens will become the actors that generate change, not only in a technological sense but in many areas of our future society. Let me take you on a quest for learning affordances and on a loop in which I will suggest that future informal learning will not differ from 19th century teacher top-down learning. Two topics which I find are a bit intertwined or at least connected. Anol (author of Soulsoup) wrote an excellent blogpost on guidelines for effective corporate elearning. It shook my knowledge tree and got me thinking. I can find myself in a lot of his guidelines especially 3 years onward: the LMS one and the fact courseware is out and I personally loath presentations or lessons that put one person in front and powerpoints on some wall or other. So hooray for the ongoing liberating learning guidelines, but there are a few thoughts that keep popping up in my mind every time informal learning comes into the educational equation. And as time passes and I read more, those questions only become louder. How do we filter and acquire information if it is out there in abundance? Or as Ullrich Carsten mentions in his superb and recently published paper on ‘Why Web2.0 is good for learning and for research’ disorientation and cognitive overload are the principal obstacles of self-regulated learning in technology-enhanced learning. While this statement had students in mind, in this day and age it is pivotal to every learner and of course every knowledge worker. And while Web2.0 comes up with answers through intelligence of crowds, sometimes static knowledge will be needed. Let me start from my working experience. Most of the courses at ITM are courses that stimulate peer-to-peer revision and participation. Some of the courses are built from a student demand upwards and communication is stimulated so a collaborative intelligence can emerge. Furthermore contacts are stimulated, so in a lot of cases physicians keep in touch as a community once they go back to their home country. They learn as they practice medicine and they share that knowledge. So, yes there is some solid communicating and informal learning going on. · Or … we – at the institute – did not find an all inclusive TEL (Technology-Enhanced Learning) solution for our courses. I guess it is a bit of all the above, but I can help learners with the last one. Getting a good TEL solution for courses (and I mean courses in the very broad sense: build them yourself, get the knowledge… kind of way) would be the thing to work on from my side. 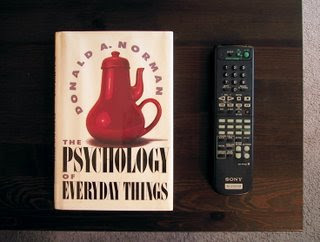 What we need is a book/wiki on TEL similar to ‘The Psychology of Everyday Things’ by Donald A. Norman. Every TEL should have a clear and humanly intuitive affordance. This is what we should be looking for and disperse throughout both the business and the educational world, with a difference in outcomes, business outcomes on the one hand and learning outcomes on the other and of course these two are not fully separated from one another. Capturing tacit knowledge is more relevant as you are situated in the long tail of learning (because there is nothing else out there). So it would be great if for this type of learning there could be an affordance that lets you take in the necessary knowledge in a fluent, natural way. My intuition tells me that pedagogical affordances would be closely linked to culture and your own learning style, so looking at diverse cultures would be the thing to do. The human brain is limited because we constantly loose knowledge although we endlessly gain it as well. Self-regulated learning can be reached if we could plug-in and download whatever was needed at that particular moment in time. Nothing more, nothing less. As Anol mentions, the matrix has a great example of downloadable knowledge when Trinity downloads the capacity to fly through her cell phone, but… she did plug in to a place were the information was stored (a shelf lets say, with the manual). What Trinity did not need to do was to memorise it because it was directly stored with memory and everything. Someone made that information solid and ready for access/use. Ullrich mentioned in his paper Web2.0 enables access to data at an unprecedented scale, but what if this data is plugged-out? Will there be a back-up system, a big system that forces the need to store all the knowledge in such a way that if a software or data set is lost, knowledge will stay. We can be sure of one thing: in human history there has never seen such an amount of knowledge accessible to all. Web2.0 is increasing and the semantic web will come into existence some time soon (I guess). Where am I going with all this information? Well, taken into account the need for enhanced informal learning, the increase of (tacit) knowledge, the emerging intelligence… I feel the need for a global brain. How else can we as suggested in the mail by Anol “Make relevant knowledge readily accessible for knowledge workers, knowledge that directly or indirectly affects their functional priorities.” I totally agree with Anol, but how can you make out what is a functional priority? What entity will decide? One human brain will not be enough, it will have to be a global brain. Informal learning in my mind was all about freedom, but then… it is not. Informal learning can only be done within the constraints of the knowledge it is accessing. With informal learning you look at/find static knowledge and you construct your own knowledge in a dynamic way. But nevertheless the information on which your knowledge is build will be – for the bigger part – solid knowledge (of course taken into account that all knowledge is will change over time). How much of informal learning is in fact roaming freely amongst knowledge that is out there? In being an informal learner, we become our own gatekeeper, subject to other gatekeepers because we remix or access their knowledge. Let’s say a global brain will emerge, then we will have one omnipotent gatekeeper and the freedom of informal learning will suddenly become nothing more then accessing a knowledge selection that has been selected for us. And if that is so… how does it vary from a teacher standing in front of a classroom telling learners what they should now because they happened to choose that particular class? What if the abundance knowledge out there is getting to you? Are there quick actions that you – as a learner and eLearning professional – can use to get motivated again? You will have to think outside the box. Find white ravens: start interviewing people that are eLearning professionals. Do not interview the ones that are already known, dig up people whose voice is not spread wide and all across the internet. They know how to think outside the box. Keep the interviews limited in time and think about solid questions that will benefit you. Put your speciality out there: what is your speciality? Share your speciality with others and ask them to tell you yours. Social networks do not dig into specialities, find your knowledge star and get it out there to be discussed or shared. Why not suggest people you are willing to give an interview or a course on this specific topic through an online seminar? Find a frank test group: get your best eLearning project and deliver it to a set of people that you have not worked with, but that are a bit similar to your target population. Make sure – and this is very important – that they do not have any connection with you. Ask them for feedback, they will be frank and non-apologetic for any ill-design in your online course. Ask feedback from kids: take an online course you develop and present it to a 12 year old. It does not matter that the content is too difficult, they will ask relevant questions related to the design. I use my sister from time to time, she radically pinpoints weaknesses and gives amazing solutions. She is a digital native just like a lot of other kids (you will have to do something fun afterwards to keep them motivated). Well, I hope this short list will get your minds rolling as well. Take just a little time to support an African initiative that brings the Kenyan situation to the Kenyans, by the Kenyans. This is social media that breathes engagement and the promise of a strengthened future. In April I am giving a presentation on how the use of social media in emerging countries is reshaping the world at the Annual Gathering of the eLearning Guild. Thanks to Juliana who posts the great Afromusings.com blog, I came across this great mash-up application that is keeping up with what is happening in Kenya. Since the last elections Kenya has seen a lot of violence, which is now hopefully settling down. In the past we could watch the news, sigh because of the content and … do nothing. Nowadays and especially through social media the world has changed. We can choose our news and our actions. Ushahidi (which means witness in Swahili) is a mash-up application which gives people live access to post their information and experiences. This African initiative is partly using crowdsourcing and building on existing initiatives to give the people in the streets a way to get their voices heard. The great thing about this initiative is that it does not only focus on riots but it also asks people to submit peace initiatives that have been started. The initiative works closely with the red cross and ngo's in Kenya to make sure the information they get is cross referenced. You can support this initiative by voting for it. Ushahidi has entered the Netsquared Mashup Challenge and you can vote for this particular initiative by registering at the Netsquared site, register and vote (you can vote by clicking the ‘+’ next to the Ushahidi initiative). I know it’s a hassle to have to register before you vote, but it is greatly appreciate it if you did. Just imagine this software mashup in areas that suddenly have to cope with an epidemic... this will make the physicians/nurses/researchers life much easier. Social media is changing the face of the earth… well, at least if the people let it be changed. What if at the age of 45 you loose your memory, your job, and you barely stay alive? It happened to Garth Murray. He sunk into a life which was dominated by sleep until ... his sleep came up with the answers. 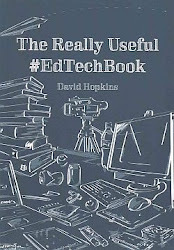 Sometimes it does not take more then part of the brain to come to the rescue and give visions of techtales and push a person into some heavy informal learning that reshapes life itself. Thanks to Simon Young, a New Zealand journalist that is into social media I found myself reading Idealog. While I was reading through the headlines one story snapped my attention: Daydream Believer, the story of Garth Murray who designed a new audio (= speaker) system that reshapes the audio world. Although his memory was shattered and he became a hyperacusis (= a collapsed tolerance to everyday sounds), that same brain came up with visions on how a new design of speakers would enable him to filter distortion from audio. Because he knew nothing about audio or speakers, he started learning it himself (he did talk to a specialist to help him on the way) and he began building the design that appeared in his vivid, vision like dreams. It is quite a story and it gave me hope. It also made me think that in crisis situations, the only thing that gets us out is informal learning, because it is the natural way to learn. Formal learning only covers standards or basics or paths that have been walked on. If you are interested in Garth Murray's speakers: Theophany Loud Speakers. In the Big Question for March, Tony Karrer asks the eLearning community What is the Scope of our Responsibility as Learning Professionals? This question has a big ethical impact and I would love to say: sorry, this is not my responsibility at all! 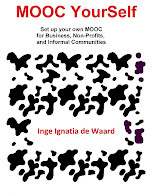 In order to learn (informal or formal) I believe you need an ethical framework. Helping to build an ethical framework in all of the learners is the responsibility of learning professionals. My partner is a K12 teacher with a strong belief in interactivity and online possibilities, but... we do not follow the benefits of informal learning to the same extend. My partner always tells me that if you leave all the information just for grabs, learners will only learn to ‘get information’, not to ‘filter information’ on a solid basis. - act as her or his own gate-keeper to their own knowledge. “Oh please, this is only true for young students, not for grown-up learners!” I hear you think, but I know this is not the case. People with a strong analytical mind figured out how the bombing of Dresden could be done with maximum efficiency (= massive killing). Afterwards many of them felt really bad because they did not know the impact of what they were researching. If learning and research are devoid of ethical impact, it can result in inhuman activities. So, in my opinion any content a learning professional provides must be linked to an ethical framework. Thus learning professionals carry part of the responsibility of learner content, but the learner is responsible for willing to gain a critical, ethical mindset. Or is this too much philosophy? This seminar is part of the free educational seminars that are organized by ScoPE. This seminar interests me because it will focus on exclusion of cultural diverse groups from traditional education and hopefully deliver a (set of) methodology that arrises from those groups, which will in its turn, include learners from diverse groups in (online) learning that is breaking out of traditional education. This content interests me not only from my professional point of view (in a big part of the world oral tradition and learning are the norm and have been proven very helpful for delivering knowledge), but also on a very personal level. While following gender studies my eyes opened wide on all the different kind of gate keepers that prevented groups that did not belong to western power groups to be kept from power (power in the broad sense: education, politics, board positions in companies…). It also told me why only very few of my fellow students (from my local school filled with riffraff of which I am one) got into university. But I am lucky, I was brought up with literature and a traditional western framework (competition, unspoken rules on how to interact with the roosters in the den…). So although I started out from a lower socio-economic class, my chances to grow where difficult, but within reach because some of them were taught to me from an early age. But what if the framework you start out from is not based on competing or written tradition? It will affect your life in a profound way. Whether or not you accept this effect will be up to your personal character, but will inevidably result in different chances throughout your life. Up until now the western (capitalist) framework crushed down on a large, very diverse group of people. It got them numbed and this very dominant policy has erased a lot of cultural heritage and self esteem, the basis of all respectfull communication. This very act of erasing alternative cultures an impact on learning models that were used by other groups, but were challenged within the dominant educational methods from traditional education. 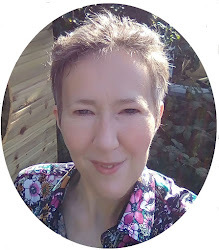 It is my believe (well, along with a lot of others out there :-) that online learning is opening up the traditional educational system and creates new spaces in which different cultural groups can explore their own native educational methodologies. This will in its turn deliver insights in different methods which can then be used by all at suitable moments in their life or professional sphere. In Belgian schools a lot of really good students fall through the net, because they do not have the skills the school system imposes. On the other hand some of those students go out into the world to become succesful inspite of having no degree. The educational system fails them, yet life safes them. 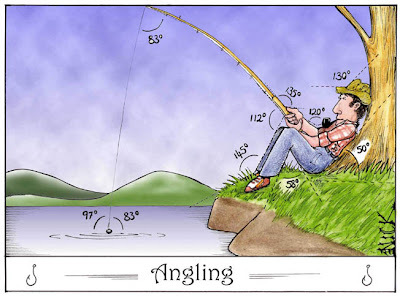 A bit like fishing, you do not need a lot of theory, you must just observe and do it. If educational methods would become more diverse, it could offer more students a solid background from which to embrace professional life. My hopes lies with cultural groups that have different learning methods, so I will be following this seminar with great interest.